Planning for next year? It’s time to explore the powerful possibilities of ThingLink Premium Education for your school and district. Premium Verified Organizations not only gain access to unlimited users, but get powerful tools such as: multiple groups, published slideshows, tag customization, advanced metrics, an expanded icon set, ongoing professional development and so much more! Now is the time to get your school or district ready to implement ThingLink in the Fall! 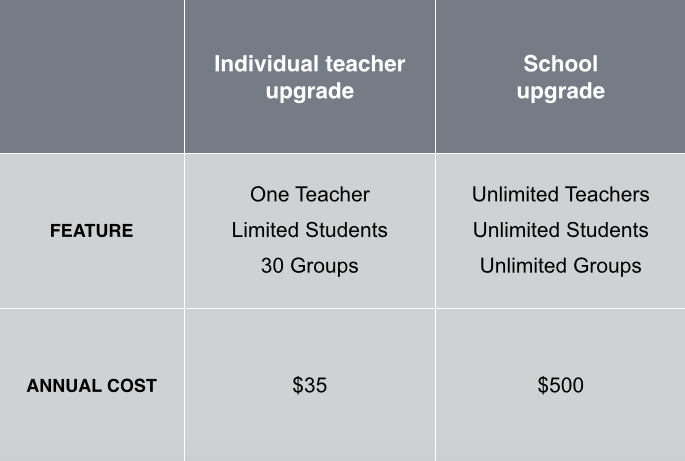 Onboard your school before the end of May for a discounted price of just $500 and gain Premium Education access through the 2015-2016 academic year. Upgrades made now will be extend through August 2016 so jump on board and contact us at education@thinglink.com. Join us in an exciting ThingLink Classroom Creative Challenge to build interactive books about LIVING IN THE US. This is a great end of year project that’s loaded with learning and offers a high level of student engagement. Help us to put your state and school on the map! Check out lesson plans, examples, and everything you need to get started on our blog! Can You Read an Image? Contact us at education@thinglink.com to set up a demo or a webinar for your school or district, and book your upgrade for 2015-2016 before June 2015!